Abbott Mead Vickers BBDO fought off global competition from public relations shops to scoop the PR Lions Grand Prix at Cannes. 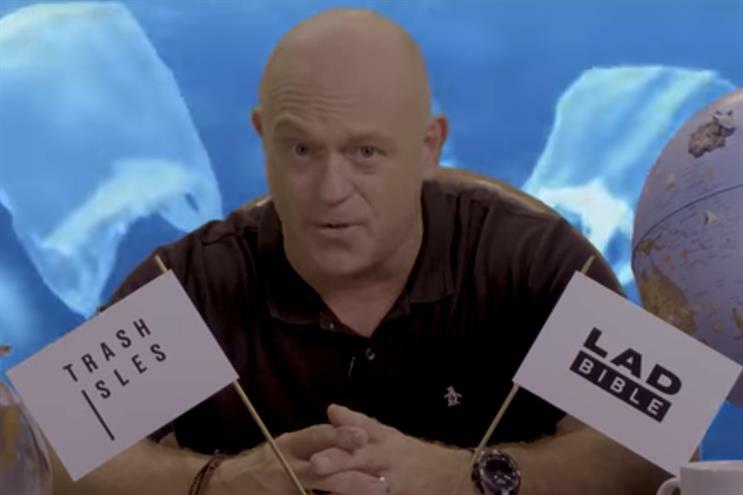 The Omnicom agency won a Grand Prix and a gold Lion in PR for its "Trash Isles" campaign for the Plastic Oceans Foundation and The Lad Bible and follows its Grand Prix win in the Design Lions earlier this week. The work set out to turn a country-sized area of plastic trash in the Pacific Ocean into an actual country, so the world can no longer turn a blind eye to the problem. For this campaign, they approached the United Nations to make this a reality. If the monstrous mound of garbage gets official recognition as a country, it will be protected by the UN’s environmental charter, meaning the trash will have to go. Mother's "FCK" work for KFC also did well in the PR category, winning two gold Lions and a silver. Earlier this year, the brand managed to keep its sense of humor in response to a chicken supply shortage at its UK restaurants. The chain ran an ad featuring a picture of a bucket of chicken with the letters of its name wittily rearranged to spell out "FCK." In the text below the image, KFC apologised and explained what happened. The campaign was supported by Freuds, by Mother was credited for idea creation. Adam & Eve/DDB also picked up two silvers and a bronze Lion for "Project 84", its male-suicide awareness campaign for Calm. The agency installed 84 sculptures of men with a hood pulled over their faces on top of the ITV Tower to raise awareness of the number of men who take their lives every week. But it was a disappointing night for PR agencies, which were overshadowed by their creative counterparts - despite an effort to reformulate the category for this year's event. Only a handful of PR shops were listed as the winning "entrant" or for "idea creation," recognising them as the primary firm behind winning campaigns. The sole gold Lion winner among PR agencies was FleishmanHillard New York for Turning Beer into Water for Anheuser-Busch, for which it also was awarded a Bronze Lion and media and PR credits. The campaign highlighted the brewer’s efforts to help victims of Hurricane Harvey by switching its production from beer to water. McCann, meanwhile, won a gold and silver for its work around the Parkland students. The March for our Lives movement created price tags of $1.05 to highlight the amount of money each student in Florida is worth to the state’s Republican Senator Marco Rubio. To get that number, organizers took the amount of money Rubio has reportedly received from the NRA and divided it by the 3,140,167 students enrolled in the state of Florida. People who participated in the March 24 demonstration in support of tighter gun control were encouraged to wear the price tags. Elsewhere, Nissan Saudi Arabia and TBWA/Raad won a gold Lion for "#SheDrives". The work celebrated Saudi Arabia's historic decision to grant women driver's licenses by helping females from the country to practice driving. The women’s respective husbands, fathers, and brothers were their teachers for the day.